The festival of outrage and indignation engulfing Clive Palmer and the collapse of Queensland Nickel constitutes hypocrisy of the first order. Not to belittle the plight of Clive’s workers’ and creditors, nor to make light of his reckless extravagance, but claims of a disgraceful “shadow directorship” are a bit rich. Virtually every multinational company operating in Australia, aided and abetted by the big four global audit firms, is run by shadow directors. A shadow director is somebody who is not literally a director of the relevant entity but a person who is not a director and who is really running a company and making decisions in the interests of another corporate entity, often a foreign parent. Who really runs eBay, or Google, Uber, Chevron, Shell or Apple? Is it really their smattering of local directors, their three-man boards? Are the corporate decisions they make really designed to benefit the local Australian operation, or to funnel money to tax havens and assorted offshore associates? In the case of Clive Palmer’s QNI, its newly appointed administrators from FTI Consulting – who also conducted the fee-guzzling administration of Queensland zinc company Kagara – have claimed, with high sanctimony, that Palmer is a shadow director of QNI. This indeed appears to be the case. He was using Queensland Nickel as his “own personal piggy-bank”, they say. 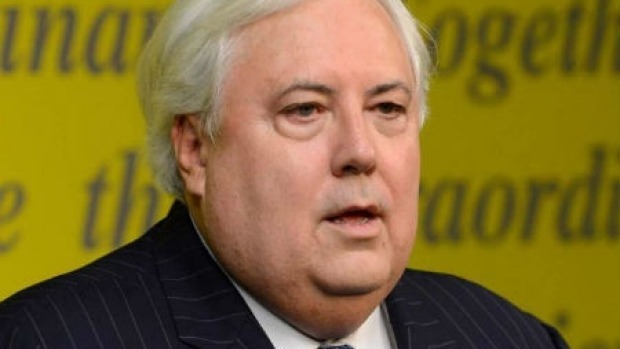 If regulators and or insolvency types pursue Palmer for being a shadow director – and given the “Get Clive Palmer” campaign in the press – an action looks likely. Palmer helped himself to millions from QNI but this amounts to a fraction of the profits, profits earned in Australia, which are siphoned out by multinationals. Take oil major Chevron, which borrowed money at 1.25 per cent on the money markets in the US then, after currency changes and a spot of financial engineering, lent billions to its subsidiary here at 9 per cent, delivering Chevron Australia a lavish tax deductible loss. The Australian Taxation Office took them to the Federal Court, where the judge found Chevron did not bring enough evidence to show the transaction was at arm’s length. Chevron has appealed. The money lost in tax is huge, much larger than the $73 million which the government has now said it would stump up for Clive Palmer’s workers. Once upon a time, multinationals had proper ‘bodies corporate’. Typically, they had six or eight directors who made decisions in the interest of their Australian entities, a director’s duty. Shell Australia for instance used to be called Shell Australia. It had a full board, board meetings were generally attended. After every year end, the company would produce a glossy annual report, its financials there for all to see. A press conference, though meagrely attended, would be held. Now the Anglo-Dutch giant refers to itself as “Shell in Australia”. Its statutory financial statements are nowhere to be seen. If you fork out $38 a pop to the Australian Securities & Investments Commission (ASIC) you can find them. Net, they have paid no corporate income tax on $60 billion in revenue in three years. Shell is a big one but the pattern is clear. Thanks to tricky financial structuring, multinationals regard paying income tax as optional. “Leakage” they call it in the land of tax lawyers. ASX companies, such as Woodside, Shell’s peer on the North West Shelf, are bound to file their accounts publicly, and free of charge. They are visible, and they are filed – unlike Clive Palmer’s accounts of yore – on time each year. Compliance, generally, has been in freefall over the past decade. Even the Business Council of Australia, which pontificates to government on good business practise, has only managed to get its accounts in on time in eight of the past 16 years. The question needs to be asked of multinationals: what is the economic reality? Is Shell a little piece of London, and Chevron a little piece of America, which has been given carte blanche to plunder Australia’s resources, pay little (in royalties in the case of Chevron) for them and bank all the proceeds of their sale in foreign head office bank accounts? Once Chevron has paid the money it pays to real Australians (during construction Gorgon & Wheatstone), there is not much in the way of ongoing economic benefits for Australians. Are these really Australian exporters? Multinationals used to run subsidiary companies and the money earned by those companies was banked in Australia and circulated in the Australian economy while the parent waited patiently for a dividend. They have moved progressively away from that model to be puppet regimes for their offshore parents, mere branches. Australian branch proceeds of multinationals often come nowhere near Australia these days. They are banked directly to the American parent’s bank account solely for the benefit of the American economy. In the case of the new digital breed, the likes of Google and eBay, don’t even bother much with transfer pricing and trying to eliminate as much taxable profit as they can by bulking up their costs in Australia. They simply book their revenue straight to Singapore and Zurich. They simply deem – despite this income being created by people in Australia, selling Australian services to other Australians in Australia – that their Australian revenue is really Swiss or Singaporean. Google Australia, which makes roughly $3 billion in sales in Australia, appears to have only one director resident in Australia. The other two reside in Mountain View, California. Peabody, the US energy giant which went belly up this week, now only has two directors on the board of its holding company in this country despite this being a company with $3 billion in revenue, $5 billion in assets and $10 billion in debt. No doubt, across the Pacific Ocean, they deem directors to be a bit of a waste of time and money.